The Karalapakkam Society for Rural and Sustainable Development (KSRSD) founded in the year 2000 as part of the Madras School of Social Work, Chennai, now function as an independent organisation and focus its activities in other more disadvantaged rural villages in Thiruvallur district. KSRSD works on the premise of Sustainable Development, with a pro-nature, pro-poor and pro-women approach. Health, Education and Livelihood Enhancement are the primary focus areas for KSRSD and Women and Children are the main concern. Realising the need for conducting research and providing training to various stakeholders in sustainable development, KSRSD mandated to initiate an institution dedicated to sustainable development. 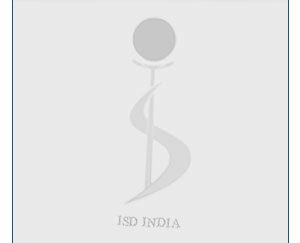 Thus, Institute of Sustainable Development (ISD) was formed in the year 2005 with a vision to emerge as a full-fledged multidisciplinary resource centre to think globally and act locally in the arena of sustainable development. Further, ISD has chosen water, sanitation and climate change as the theme for its activities for the decade 2005-2014 and now focus on Integrated Water Resources Management. Most of the programmes are organised at present under the banner of ISD with a strong focus on stakeholder participation for sustainable development. Over the years the institution was able to cross many hurdles and accomplish significant achievements. Now, ISD’s expertise in Social Development Research and Training are sought after by other agencies including Government, National and International organisations. The KSRSD, and so ISD, comply with the rules and regulations of TN Societies Registration Act XXVII of 1975.